Florida English Springer Spaniel Rescue View other English Springer Spaniels for adoption. Scarlett is a precious old soul. This little girl has lived a life of abuse and neglect. She is a Miami Dade survivor where she was turned in by her own in such condition that they should have been charged with animal cruelty . Scarletts hair had grown inside her mouth and a large wad of hair prevented her from being able to eat or drink. Needless to say she was emancipated covered in fleas and ticks. Scarlett was diagnosed with a tickborne disease while at the shelter. 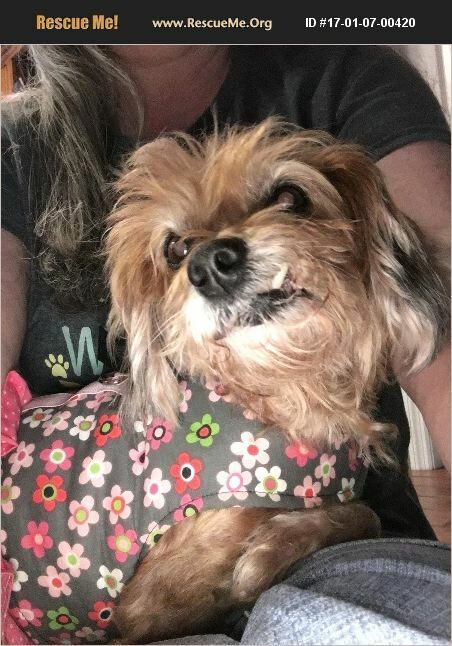 She didn't even have the opportunity to make it to the adoption floor because of her condition, Scarlett is approximately 10 to 12 years old, weighs about 12 lbs . She had several medical conditions at arrival but has responded well to treatment . Scarlett was not spayed and had an infected uterus, yeast infection all over her body and pretty much hairless except for her face and head. Today she lives in a foster home in the Fort Myers Florida area and she has been completely vetted. Scarlett has been spayed, also had some mammary tumors removed, was given all of her vaccinations, Micro chipped and heartworm tested.She is also a tripod , missing a back leg. Scarlett will require a very special home. This little girl has endured a very rough life . Her adoption fee is $300 and you can contact us at seniorpsanctuary.com .